The Avon Trail may be accessed at many points. A selected number of access points are listed here. 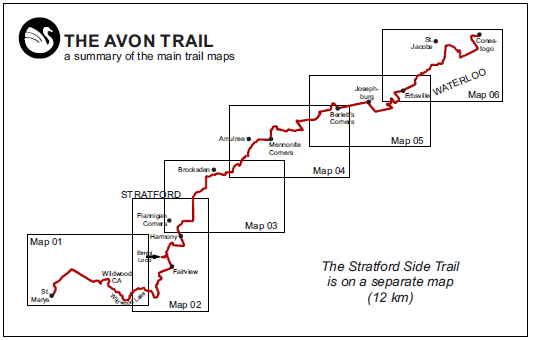 The Avon Trail Guide (available for purchase online and at Fanfare Books, Stratford Tourist Office, Adventure Guide in Kitchener) provides a complete list of trail access points with detailed descriptions of the trail.